/ Destin FL Cocktails / FRIDAY LIVE MUSIC & THE PARROTHEADS – Rusty Hammerstrom Jammin’ on Stage 5:30PM! FRIDAY LIVE MUSIC & THE PARROTHEADS – Rusty Hammerstrom Jammin’ on Stage 5:30PM! LIVE MUSIC: ROWDY RUSTY HAMMERSTROM!!! 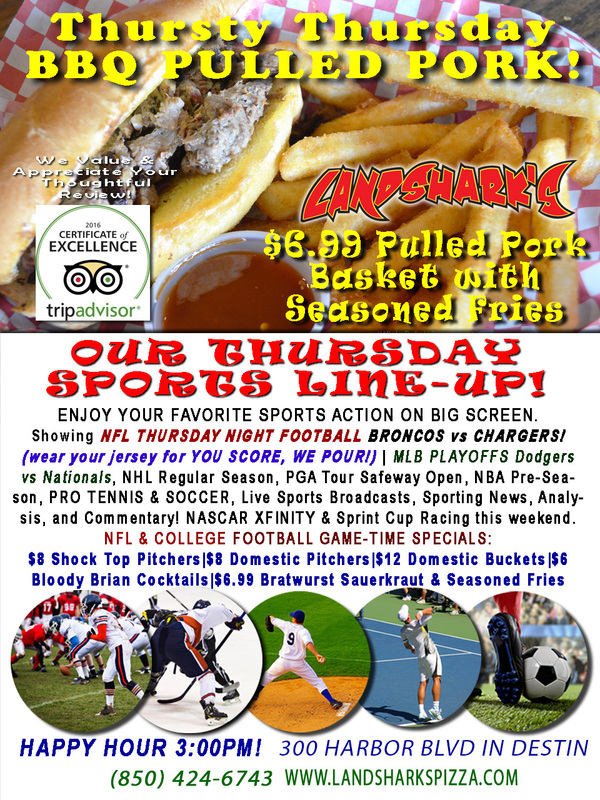 THIS FRIDAY, OCTOBER 14TH – PHOOD, PHUN, PHINS UP FRIDAY! ENJOY A PARROTHEAD PHLOCKING HERE AT LANDSHARK’S – JOIN THE FUN AS WE PARTY WITH A PURPOSE! 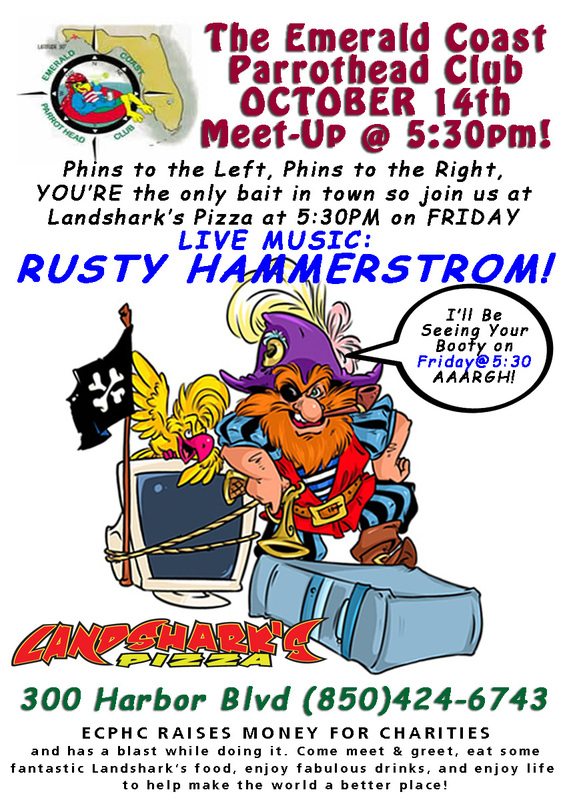 Emerald Coast Parrothead Club (ECPHC) has their fabulously fun monthly meet-up at Landshark Pizza in Destin starting at 5:30 pm and YOU ARE INVITED for a GREAT TIME! ECPHC raises money for charity and has a blast while doing it. LIVE MUSIC – The amazingly talented and hilarious RUSTY HAMMERSTROM will be providing the live jams and Landshark’s Pizza the food and drink specials to keep everyone happy! If you haven’t had the chance to hang out with the Parrotheads don’t miss out on the fun! Fabulously generous group of people who know how to have a great time while making the world a better place, all in tropical style! Shout out to Steve at www.crabislandmambo.com for keeping everybody updated on the good times in Destin! 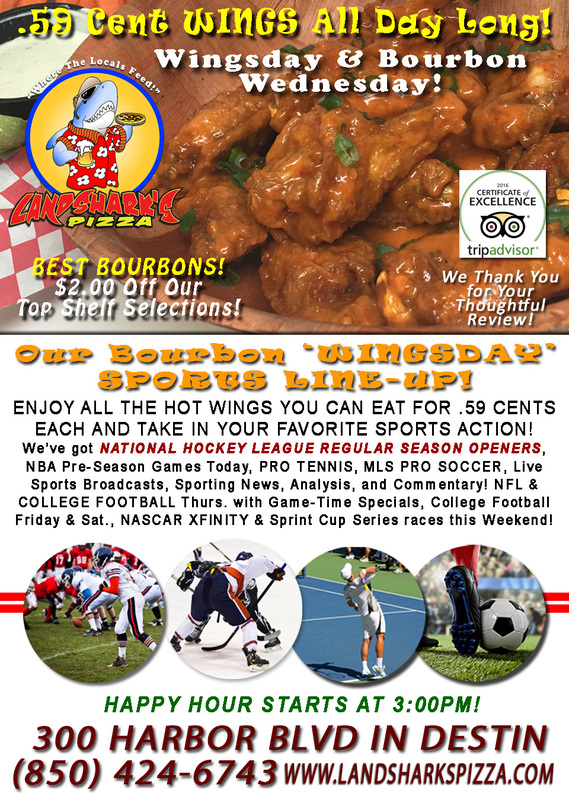 Previous Post: « Happy HUMPDAY with 59-Cent Award-Winning Wings & $2 Bucks Off Our TOP SHELF Bourbons!